Terrific study in shadows and light! He looks so lonely. Wonderful B&W. What a wonderful and sentimental photo... Great! Photo with a story behind. Great. 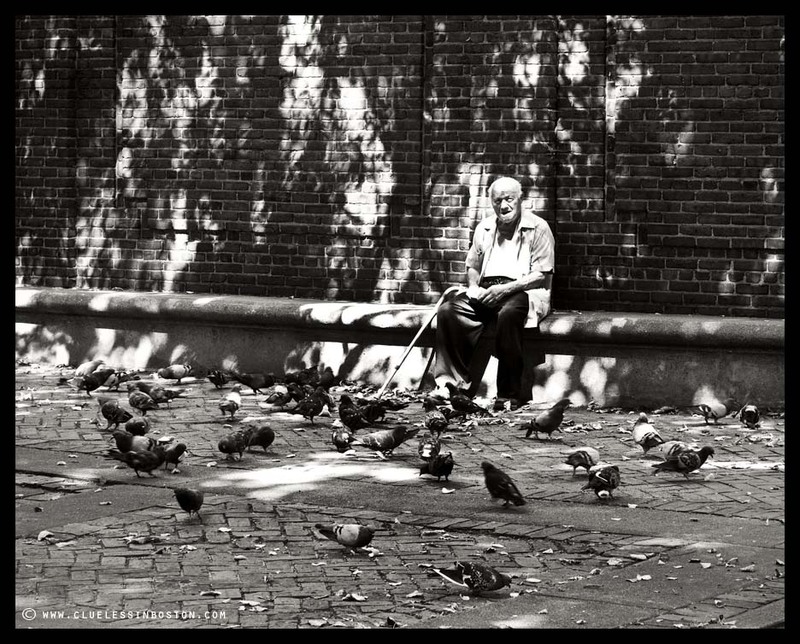 A nice study, old man, time and pigeons with a nice interplay of light. What a wonderful picture! But showing sadness, and loneliness..The dark pigeons are like an echo to the spots of light on the wall.. Yes, a nice, reflective moment captured in b/w. This is a scene repeated often in Boston. A nice shot. I'd be curious to know more about this person. 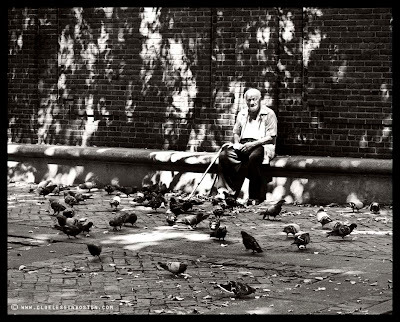 In Italy it's quite common to see older people alone in the city, while the rest of the population levaes for vacationland. It's a sad tale of solitude and abandonment. This fellow has his pigeons to keep him company at least. it took me a while but i found a picture on your blog that was worth posting. well done!